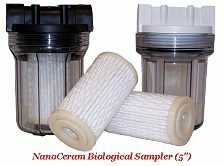 Nanofiltration | nano filter media, nano filter material, argonide corp. nano filter material | Janerotech Inc.
NanoCeram® Nanofilters, Nanofiltration, and Virus Samplers - by Argonide Corp (USA). for drinking water, all reverse osmosis systems, and industrial process waters. 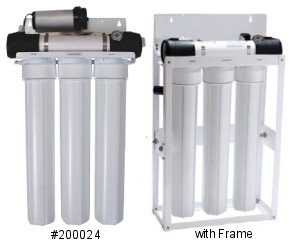 For drinking water applications we recommend preceding all NanoCeram Pleated filters with a 1 micron sediment filter. Note: NanoCeram Filter Cartridges require a brisk 20 minute flush before drinking the water. Contains nano-sized alumina particles (aluminum oxide) bonded onto a glass fiber fabic. Use at your own risk. Minimum Order is 7 cartridges or your order will be refunded. Minimum Order is 5 cartridges or your order will be refunded. Minimum Order is 3 cartridges or your order will be refunded. Minimum Order is 19 cartridges or your order will be refunded. We reserve the right to change incorrectly priced items. Please shop responsibly. Non-returnable items.